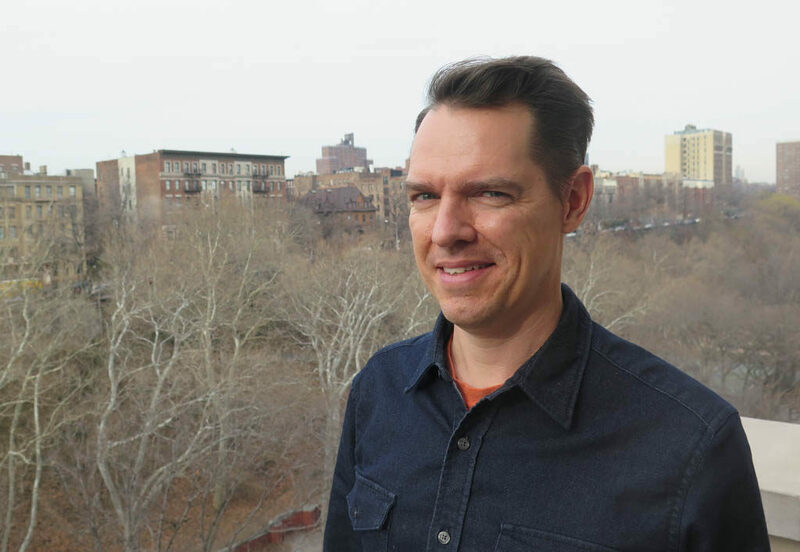 Gregory Mann is professor of history at Colombia University, specializing in the history of francophone West Africa. 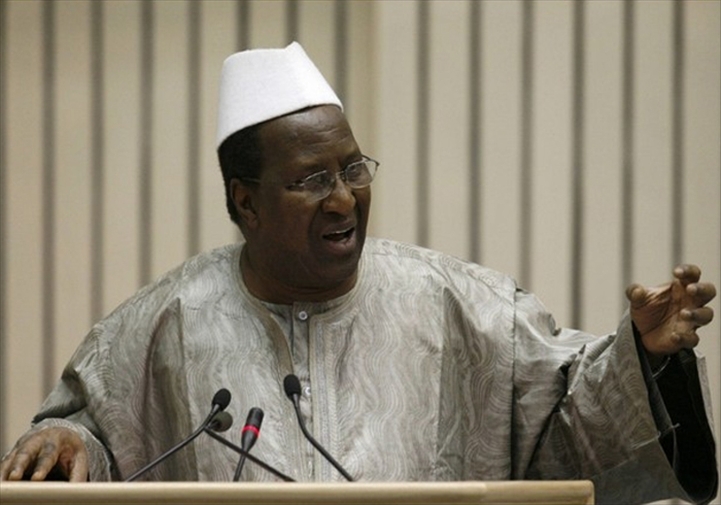 He has lived extensively in Mali and knows the country well. He is most recently author of From Empire to NGOs in the West African Sahel: The Road to Nongovernmentality (Cambridge University Press, 2015). Afropop’s Banning Eyre spent a morning speaking with Professor Mann before the Afropop team went to Mali in early 2016. The conversation was long and extensive, but full of fascinating insights. Here is a condensed transcription. Banning Eyre: The land we know as Mali was a series of empires over many centuries, then briefly a colony of France. During the final years of colonialism in the 1950s, a new conversation was beginning among potential future leaders of an independent Mali. What were the terms of that discussion? There were two key issues. The former empire was a place that had a historic mission to pull together the forest, the Sahara and the savannah zones. The leaders of the US-RDA, which was the most powerful political party in 1960, felt they had a historic mission to fulfill. The other important point for them was to secure a form of sovereignty for their territory, and for Africa as a whole. And they felt this very acutely, particularly with the French war in Algeria that was going on across the Sahara to the north. Some of the bases of the Algerian revolution were in the Malian Sahara. They were closely linked to the Algerian independence struggle at the time of Mali’s independence. So they felt both this kind of pan-African mission, this strong vision of needing to secure African sovereignty. Did that Algerian connection explain why there were early decisions to have a new currency and to get rid of French troops in Mali? Well, the leadership of Mali at the time had a very clear vision of what sovereignty and independence meant to them. They had a checklist: they had to have their own currency, their own army, and they had to control foreign affairs. The reason they had a checklist was that France had proposed a deal in 1958 that said precisely those things were off the table. Things that remained in Paris: defense, monetary policy, diplomacy. When the US-RDA anti-colonial party came to power in 1960, they said, “Those are exactly the things that we want to take. We want to make sure we have our own money, our own army and our own diplomacy that allows us to support the Algerian revolution and to build a new form of African federation in West Africa. 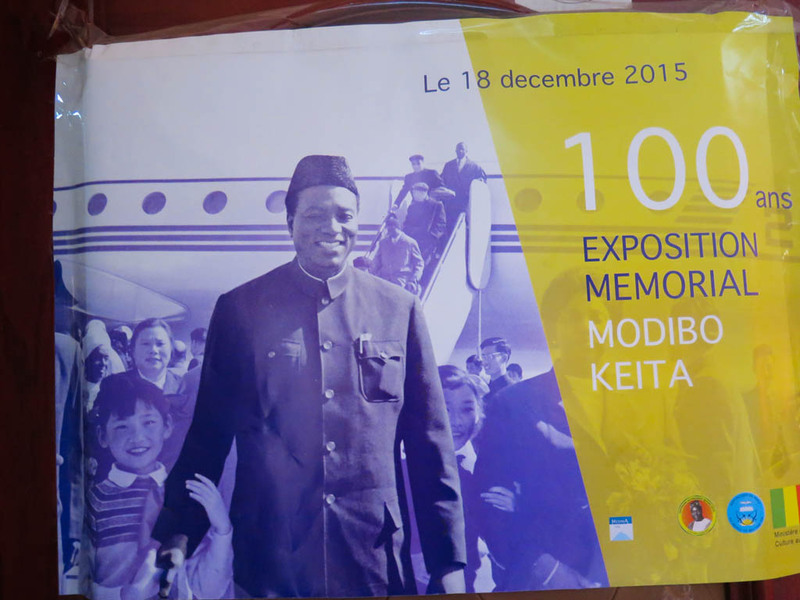 What did Mali look like politically like in 1960? There was a long period of political reform that started after the Second World War, but if you look at Mali in 1960, you’d see mostly a rural country. There were a few great historic cities: Djenné, Timbuktu… Bamako was becoming ever more important at the time. But still, most people lived in the countryside under a bifurcated form of authority: They lived under the French colonial state, which was receding, allowing African administration to take over, gradually and slowly from the 1950s; and there were village chiefs, or faction leaders among the nomadic societies. There was a great deal of power vested in the canton chiefs, who came one rank above the village chiefs. And one of the big political questions at the time, across West Africa, was what do we do with these chiefs? Do we keep them? Do we get rid of them? The village chiefs were usually seen as more or less legitimate, benign figures, rarely contested. The canton chiefs were the ones who brought in the taxes, the military recruits, and they were often seen as illegitimate. Different parts of West Africa responded to this challenge differently. One way to think about it is, you can’t have a republic and have people who are hereditary chiefs; you can’t have a society premised on the equality of everybody in it, and at the same time have hereditary nobility. The Malian US-RDA government coming to power in 1960 was sharply opposed to having hereditary chiefs exercise any political power. I understand the nomadic Tuareg were treated differently in this regard. In discussions I’ve had about the declaration of independence of Azawad in the Malian north in 2012, some refer back to 1960. The claim is that the Tuareg should never have been part of the Republic in the first place. 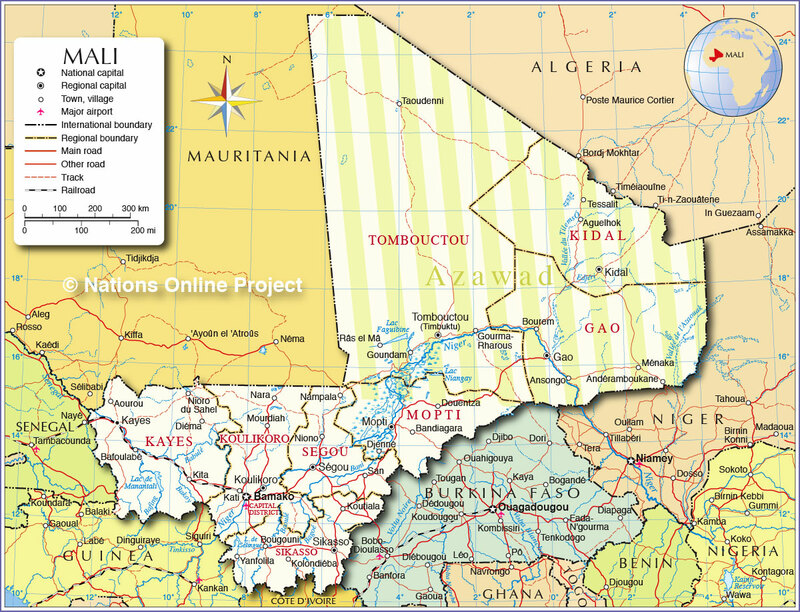 Mali simply inherited the northern territory as part of the illegitimate French colony. I imagine this was a tricky question for the new leaders right from the start. 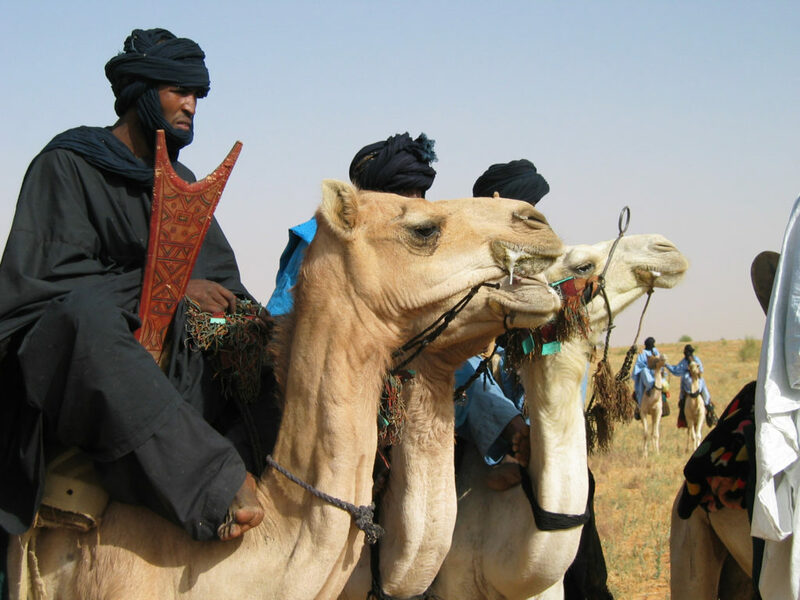 Well, the idea of the Tuareg in Mali is a somewhat inaccurate and misleading one, because this is a diverse category of people who share language, but there are different confederations, factions and political affinities. There is quite a diverse group of people captured by this term Tuareg. You can think of people who are government ministers, or leading officers in the Malian military, and people who are ferocious opponents of the Malian state—and they are all Tuaregs. One thing that happens at the moment of independence concerns the Kel Adagh, the people of the far northeast of Mali, centered in Kidal. They believe they are going to get a form of independence that is not going to group them together with people from the south, but is going to allow them to maintain a relationship with France, which they want. But the Malian socialist government at the time is opposed to this idea, and intervenes decisively in choosing the next chief of the Kel Adagh. In the rest of Mali at that time those chiefs are removed from their functions. But northern Mali, and the Tuareg in particular, always held a distinct status. The Tuareg confederations were able to maintain their chiefs, so there's this strange exception in the north. Among the Tuareg, the chiefs remain, but the socialist government chooses the chiefs, an important qualification. Governing northern Mali has always been beyond the real capacity of Bamako to do directly. It has always been done via these elite families of Tuareg. So a nation state that is a republic everywhere else, in which citizens are equal, is not one in northern Mali, and never has been. So that's a historical wrinkle that actually matters in the present when there are disputes over the role of this kind of political aristocracy, or people who were considered to be commoners, or who are considered to be of slave descent, all within the broad category of the Tuareg. Early in your book, you ask: when did Mali become a society? In brief, what’s your answer? I would say Mali became a society in the 1960s. Under the colonial regime, Malian society was perceived as these rich cultural traditions, without internal tensions and struggles, static, rural, bucolic, this idea of Africa as unchanging and unmoving. But conceiving of Mali as constituting society in and of itself, as an independent nation state, means being able to perceive African social life as responding to the kind of laws, dynamics and pressures as you might see elsewhere. Whether or not you have a class struggle in Mali was a big theoretical question in the ‘60s and ‘70s. You certainly had social strata. You had hereditary nobility, you had people of different kind of artisanal statuses, blacksmiths, griots, etc. And the political question was: could these people have an equal form of citizenship? Could they be considered to be equals? Or were they anchored in tradition and unable to change? Conceiving of Mali as a society, as the independence government did, meant to look forward to modernity, rather than back to tradition. But conceiving of West Africa as a set of cultures meant always to look back towards tradition, and that inherently reinforcing the power of the canton chiefs, and the traditional hereditary chiefs. But the canton chiefs were being cut out of the power equation, weren’t they? That’s true in Mali, but that didn’t happen everywhere. It didn’t happen in Senegal or in Niger; it happened in Guinea and in Mali. And it’s an interesting contrast. In Nigeria, at the time of independence, they were creating a kind of legislative chamber specifically for chiefs, whereas in Mali and Guinea, the supposedly revolutionary governments coming to power were interested in dismantling the chieftaincy, taking apart that political institution, and creating societies of equals. Now they didn’t succeed, but that was their ideological vision. 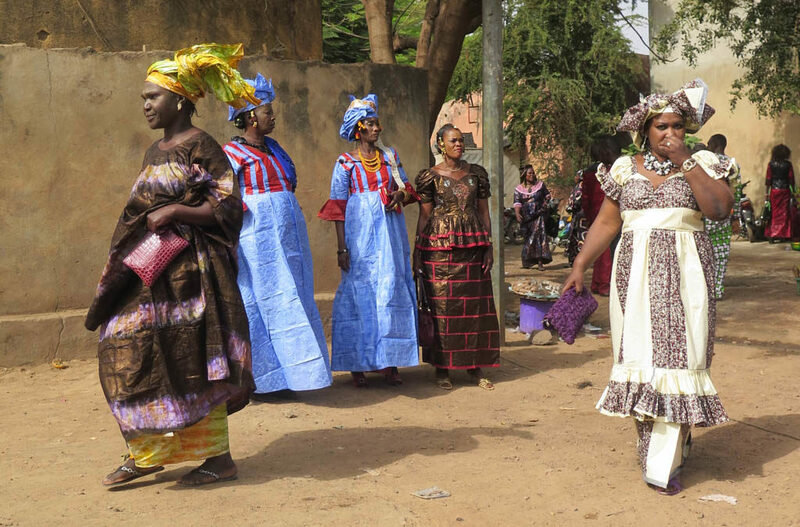 I’ve always been struck by the robustness of traditions in modern Mali, particular by comparison to another landlocked African country where I’ve spent time, Zimbabwe. In Zimbabwe the Rhodesian settlers took a very hostile attitude towards traditional culture probably because they wanted to live there. That meant they had an interest in getting inside peoples heads and making them think like British people. In Mali, I’ve interviewed griots like Toumani Diabaté who talk about the colonial period and refer to the Kaira movement. As I understand it, that was designed to convince the French colonials that culture, specifically griot culture, was a good thing, not something they should fear but actually embrace. Griots could actually help them to have more success in their endeavors. So going back before the independence leaders, what would you say was the attitude of French colonials towards traditional culture and traditional life? That’s a great question. One thing to bear in mind about Mali is, it was a colony but it was never a settler colony, so you have French soldiers and administrators, and you have a small number of missionaries, but because the country was mostly Muslim, the Christian missionaries were only in certain areas and didn’t play as large a role as they played in other parts of Africa. The colonial period was very brief in Mali, just a few decades, from the 1890s to the 1960s. So the impact was smaller than in other places. Not many Malian children went to school; they didn’t live in the cities where they would encounter the colonial power very viscerally. In fact, the way they would encounter the colonial state, more often than not, was through the canton chiefs, agents who were present on the ground in the rural areas where most people lived. So Mali never lost this idea of having its own West African, Islamic identity going back to the great empires of the 19th century, and even the 9th century. This history had left a mark in tradition and heritage that people continued to prize. Up to this day, absolutely. And of course the griotic tradition plays an enormous role in that. Many West Africans are very proud of that. So the colonial impact—I don’t want to say it was minor, because it was violent, it was brutal, a short, sharp shock at the places where colonial power was focused: building dams and infrastructure, military recruitment, taxation, road building. Those that survived have brutal memories of that period, especially the 1930s and ‘40s. But on the other hand, across the society as a whole, people didn’t lose their moorings or forget who they were. They weren’t made to forget, and there was a kind of cultural resistance that was characteristic of the region. And that’s where the Kaira movement comes in. Right. The Kaira movement says, “Look, the griots have a valuable role to play in a society of peace and negotiation, finding ways to avoid conflict and seek the counsel of the past without being governed by the past.” I think that’s something the griot tradition has developed over time, and many of the people who have come from that intellectual as well as artistic tradition excel in that kind of diplomacy, not just between different powers, but in some ways between the past and the present. O.K., back to politics. There’s a term we’re going to use as we move into the modern history, and it’s one that confuses people, myself included. That’s “neo-liberal.” Could you define this for us? That’s a word that gets thrown around a lot. Neo-liberalism is an ideology that says, “Let the market rule; shrink the state; let economic forces prevail. Political forces should step back.” When we look historically in West Africa, the ‘50s, ‘60s, ‘70s and into the ‘80s, the focus is really on the state, on forms of governance exercised by the state. But there’s a push from the donor nations, the International Monetary Fund and Breton Woods institutions, to have the state shrink and let the market run free. Take down barriers to the circulation of capital; take public enterprises and convert them into private enterprises, whether that’s the company that provides water or telephone or the railroad—any form of infrastructure. So neo-liberalism celebrates the market and denigrates the state. Now, for the African politics in this moment of the foundings of African nations, obviously the answer lies in the state. It’s almost the opposite of neo-liberal. It’s almost the opposite. So it’s a stretch of the imagination to think how different the conversation was in the 1960s. I always think of Kwame Nkrumah and his line about “Seek ye first the political kingdom,” and everything would flow from that. Once the Gold Coast became Ghana and you had independence, then economic and social change would follow from that, and Ghana would leap forward into modernity. That’s the lesson of the independence era. Now the neo-liberal idea would say the state doesn’t matter that much, and shouldn’t matter that much. And of course part of the reason the word is confusing is because the word "liberal" has sort of the opposite meaning in our politics today. Yes, that’s true, so it’s inherently confusing. Glad we cleared that up. So like you, I got to know Mali originally during the 1990s, and it seemed like a magical time. You felt this ancient quality of life, so visible in the way people dressed and acted and lived in Bamako, but it also seemed open and welcoming to a visitor. That was palpable in so many interactions. And of course, this was an era that produced so many of the great musical artists who together created this distinct and positive identity for this country on the world stage. Even the New York Times raved about Mali as a model African democracy in the ‘90s. In retrospect, and particularly reading your book, I understand that that was somewhat of a misimpression. What did I miss back in the ‘90s? It’s such a great question. There was a lot going on in Mali in the 1990s. This could be a book in itself. I think the impression of a tolerant, open society that values artistic production and music in particular is still a correct one. But obviously there are other forces at work. Material inequality in Mali has become ever more acute. I hesitate to say obscene, but it’s become ever more flagrant in recent years. The sense that people are being left behind, the prevalence of corruption, the promotion of self-interest. As they say in Bambara, “If you don’t eat, you’ll be eaten.” This kind of sense that you have to defend yourself and your interests—it’s very cynical. And that attitude gains more and more traction in the ‘90s, but it doesn’t overcome these other values. The ‘90s is a moment of democratic experimentation. 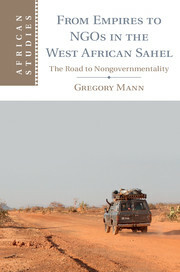 There was a sense that it was possible to relaunch a democracy in Mali and other places in West Africa. That idea was pushed by outside donors, the U.S. State Department in particular. But it also emerged from political forces in Mali, which had been in a struggle since the 1960s and ‘70s to push back the military dictatorship and establish some kind of basic freedom, some kind of space for civil society. That’s an old political struggle within Mali. Part of what happened in the ‘90s is this group of leftists and their political descendants began to gain the upper hand. But even then, what I was really struck by, and was never really talked that much on the outside, was that the political discourse was extraordinarily sharp. That freedom of speech was playing out on the airways, this kind of freedom to insult and really lay into the duly elected and constituted authority. 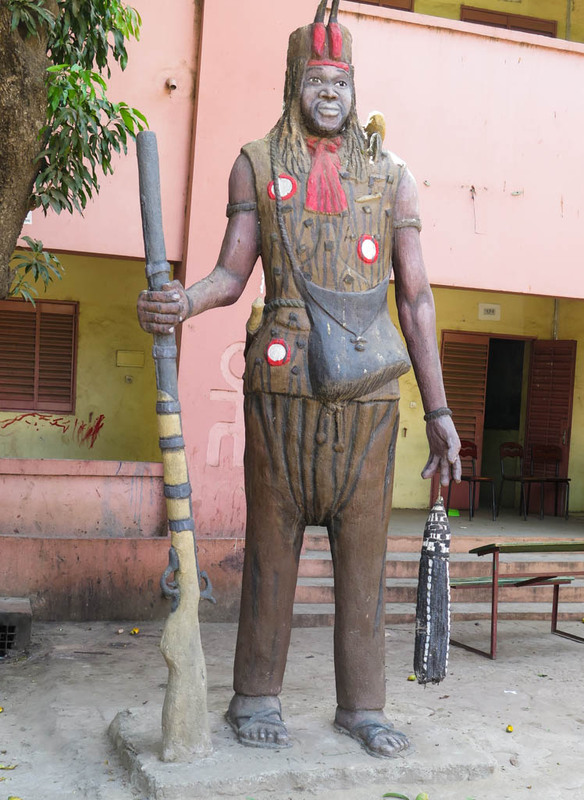 This was the time of the presidency of Alpha Oumar Konaré, who was seen as a hero on the outside because he was this kind of cultural traditionalist and a man of science and learning. Being an archeologist, he was seen as a new kind of African leader, who had never worn khaki, never served in the military, who didn’t represent that kind of powerful force but rather, the potential for democracy, tolerance and change. Konaré was celebrated on the outside, but often castigated on the inside. It reminds me a lot of how American politics is now actually, where the discourse is very sharp and nasty. What was the anti-Konaré line in a nutshell? The anti-Konaré line was that he was an illegitimate ruler, that he’d been brought to power by the outside, that he was the darling of the West, that Moussa Traoré’s military government should not have been replaced. What Mali needed, many felt, was not a kind of loose, leftist, liberal, tolerant form of government, but actually a form of government that was harsher, more strict, more disciplined, that could keep the students in the classroom and off the streets, for example—a government that could control the youth and the unions. The 1990s was troubled, really bedeviled, by an opposition that was not a loyal opposition. In that sense too, it’s a bit like American politics today, where you have an opposition that says, “I reject absolutely the legitimacy of the central authority.” And this played out in the streets of Bamako itself. There’s a great speech that Adama Ba Konaré, Alpha’s wife, gave in Maputo in the 2000s, after she was no longer first lady. She said, “Look, one of the things we didn’t quite achieve in 1990s Mali was an opposition that could understand that you could be opposed to what the government did, and contest the government’s decisions and candidates, but still work with the government to advance the interests of the country. One could play a more constructive role of critiquing, engaging, nudging in the direction one wanted to go, rather than rejecting the legitimacy of the entire political system.” I think that was a very apt discussion of the forces that were at work in Mali in the 1990s. It is interesting to think about this in retrospect for me. 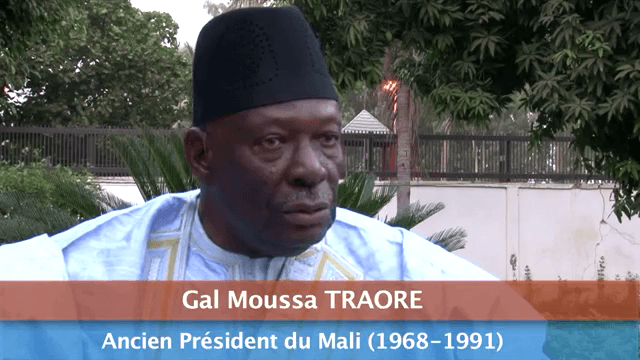 The first time I went to Mali was during the trial of Moussa Traoré in 1993, and people were listening to it on the radio all the time. I didn’t fully grasp the significance of it, but I had a sense that people appreciated that there was an orderly legal process going on, also that this guy was getting justice, because they didn’t like him. But later, when I lived in Bamako in 1995 and ‘96, I was puzzled by the politics. I was living with Djelimady Tounkara, who was a griot and who was very pro Konaré, but one of his good friends who helped me a lot with meeting musicians and stuff, had very different politics, and I knew that. I saw them sometimes arguing, but I didn’t understand the terms of the argument. On television, we would constantly see dramatic skits promoting the virtues of “decentralization,” which comes back to the neo-liberal paradigm that we were discussing earlier. The two things that were going on at the time that were very divisive were privatization and decentralization. Decentralization, of course, meant the idea of "returning," in quotes, the country to the countryside, or returning the administration to the countryside. Bringing government home the other term that was used. Kind of like states’ rights here. Kind of like states' rights here, and in some general democratic sense, the power of the people is best recognized in small units, right? There’s a question in Mali whether or not the capacity of the country is such that local governments can interface well with a national government when you have limited literacy, limited human capital. A lot of issues come up around decentralization, about who exactly will run the show on the ground, how is that going to work, and whether power is going to come back home to former chiefs. Will it come back to the canton chiefs and their descendants from the 1950s? To whom does it come back home, and how exactly does that work? Obviously this raises the stakes of local political competition to a very high degree, and I think that’s the important thing. And even between villages, which village should be the center of the canton? Because that village is going to get the resources. And sometimes you had situations in which the old center of power, which had rejected the state for years and years, had pushed off interference to the state to some vassal village, which now is going to become the main village of the district. The power will now be officially located in that village, which is historically a village of vassals. So there’s all kinds of rural competition over power and access to administrative services. That’s the film that dramatizes a trial, isn’t it? It dramatizes a trial, yes. So the argument of the anti-Konare people was that you need to keep control in the state. You need a strong leader, like Moussa Traore, who could resist selling off all these state assets. It’s back to the argument about where power lies, locally or nationally. 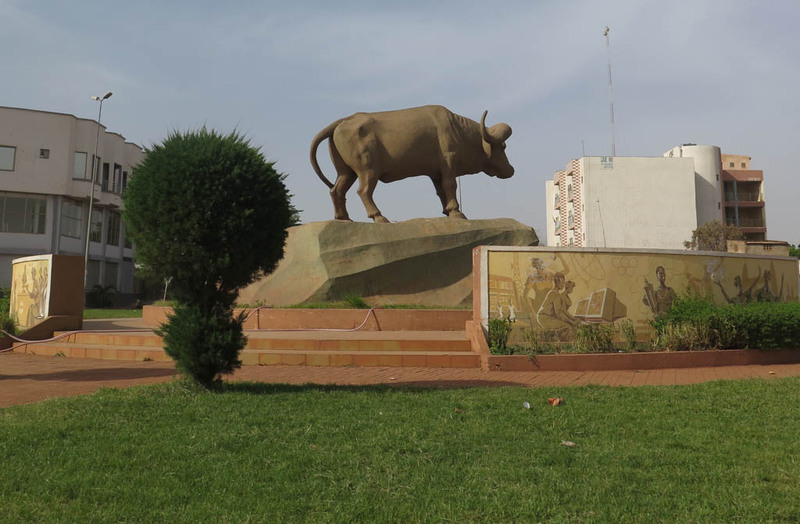 One way to think about it is that what the US-RDA government succeeded in creating in the 1960s, and what Moussa actually continued through 1991, and which still remains important in Malian politics, is a sense of a kind of aggrieved, embattled nationalism. We are an independent nation; we make our own way; we are not a French neo-colony; we are more independent than our neighbors, Niger and Senegal. What Konaré attempts to add—and it’s not really a success—is a form of cultural nationalism, to say, “We have deep historical roots as a society from our history of the great empires going back centuries, and that we can draw political lessons for today from the values of the past.” This is the kind of cultural nationalism that Konaré pushes, and that’s how you get all the statues and monuments that now sprinkle Bamako. These are mostly from that Konaré era. And that sense of cultural nationalism is added to, but doesn’t displace, this other form of embattled and aggrieved nationalism. That remains significant and plays out in the current negotiations around the peace process in the north. Let’s talk more about the dynamic between rural and urban life in Mali. We’ve touched on the political side of that, but what about the cultural side? Well, one of the particularities of Mali historically is that there’s an ancient urban tradition, older than anywhere in Africa. But at the time of independence, most of the people lived in the countryside. But in the 1990s, and even more over the last 20 years, Bamako has become this rapidly growing metropolis. For some years, it was the fastest growing city in the world. There was a kind of explosion of Bamako, people coming from the country to live in Bamako, you know, real estate deals everywhere. The city is getting bigger and bigger all the time, services are trying to catch up with the new land that’s being cleared and developed. So there is an older identity, but it changes very rapidly over the last 20 years. I think in terms of culture and music, someone like Neba Solo [balafon maestro from Sikasso] is rooted in a very honest, rural identity. And I think what’s prized by many of the musicians is less maybe the idea of being urban, but the idea of being urbane, sophisticated, cosmopolitan. One can be a sophisticated, cosmopolitan person and still live in the countryside. Sounds like he was trying to get your goat, and sounds like he got it. It seems to me that Malian hip-hop has exploded the last few years, and a lot of it has been very oppositional, going back to Tata Pound, an artist who got a lot of press in Mali and beyond Mali, for fairly direct political critique, not the kind of soft diplomatic language of allusion that griots often use, referring to something in the past, offering a lesson for the present. This very direct form of speech—sometimes they made into music what the political discourse of talk radio was in the 1990s. What part are you doubting? Well, there certainly is the traditional idea that the artist classes, griots, should be immune from physical violence. They actually can’t participate in combat, for example. They accompany armies, but they can’t engage in fighting, and you see this in the Sundiata epic. In one reading of the Sundiata epic, it’s all about who gets to control the griots, who gets to control the balafon? Now it’s told as this story of territory and nation and empire, but in many versions, it’s really about who controls the balafon, or who controls the griot. Of course, if the griots are telling the story, they are the booty of war in that telling; they are the most prized object. You know, under Moussa Traoré’s military government, the CMLN (Comité Militaire de Liberation Nationale), the junta, people like Tiékoro Bagayoko and others were very attentive to the griot class. They were great patrons of the griots. So the famous griot song “Duga,” about the vulture and celebrating the warrior class, becomes the symbol of the junta, and they were invested in accommodating and patronizing the griots. The socialist government in the 1960s was not so strong on griots and traditionalist music, because these things reinforced the social hierarchies. They were very skeptical about this kind of idea that the griots should be supported by the noble class. Sedou Badian Kouyaté, who was one of Mali’s great public intellectuals, and one of the ideologues of the socialist government of the ‘60s, didn’t want his surname to be used at that time. He went by Sedou Badian, a kind of nickname, leaving aside this question of what a Kouyaté signifies and actually means. “Does that index me as a griot? Does that assign me a social role? I reject that role.” That’s very different from the position the military government would take, which was to assert the value of tradition. So that kind of retelling of the history of the griot class over the decades that some of the hip-hop artists might propose, it might be useful politically to tell the story in that way. But I think there’s probably a more accurate historical way to tell that story that gets at some of the internal tensions in Malian society. That’s interesting, something to probe more. But you know, your comments about the various regimes’ attitudes towards griots is changing my thinking about things that I had understood differently. For example, Djelimady Tounkara played in the Super Rail Band, which was supported by the railroad. And he always spoke well of Modibo Keita, and poorly of Moussa Traoré, so I had a kind of an opposite impression from what you are saying. Modiba, good; Moussa, bad. But I think from Djelimady’s perspective, the issue was money. Modibo Keita financially supported music—not necessarily griotism, but music—as a way of promoting national unity. Moussa Traoré withdrew that support, so he was seen as a bad guy, irrespective of his attitude towards griots. Also very interesting is the question of Tiékoro Bagayoko. I know that he was the great patron of the so-called Motel where Salif Keita played after he left the Rail Band. That’s where Salif developed the band Les Ambassadeurs. The reason Salif left Mali in 1977, or maybe ‘78, to Abidjan, was because he felt like he was being manipulated by Tiékoro. I gather from your book that this was the moment when Tiékoro was coming into disfavor with Moussa Traoré’s junta. This helps to explain why Salif left Mali then. He wasn’t in fact a griot, but he found himself in the position of a griot being manipulated by politics. And he was about to come out on the losing side. So, he and his musicians got in a car one night and drove to Abidjan. Right, because his patron was on the ropes, and a political crisis was coming to a head at that time. Moussou was purging some of his closest comrades and competitors, of which Tiékoro was the most feared and in many ways the most powerful. Not necessarily the most clever, but the most feared. Let’s shift and talk about NGOs, the subject of your book. Let’s go back to the early ‘70s when these foreign aid organizations first came into Mali. 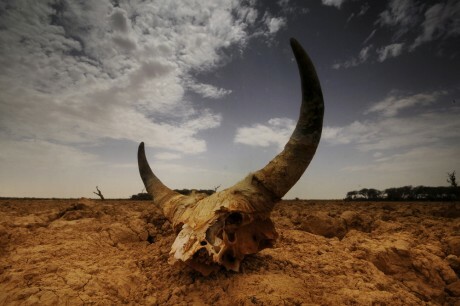 NGOs first came to Mali, and some of its neighbors, with the drought of 1973-74. Suddenly you have this humanitarian crisis, and these appeals by the government of Niger under Hamani Diori, to bring in foreign agencies to deal with the refugee crisis, internally displaced peoples. There was a need for temporary camps, shelter and food. Can you tell us a bit about this drought? I’m not sure how many people remember it; there have been so many crises since. Basically, when we think of the years of independence as the years of milk and honey, they’re also the years of rain. So the 1940s, ‘50s, ‘60s, there’s great rain in the Sahel, which is dry, it’s the land just south of the Sahara. It’s arable, but it relies on the rains to do that, and it depends on pastoralism and herds, and those herds flourished in the 1960s. Farmers and pastoralists in Niger, Mali, Senegal, Burkina, Chad were doing very well during the 1960s, because rain was coming. All that started to decline around 1968, and by 1973-74, you had years of no rain, and the herds were collapsing. People were fleeing the Sahara and Sahel to points further south, in some cases across the Sahara into southern Algeria, Mali, Niger and Burkina. So the collapse of this booming pastoral economy of the 1960s happens fairly suddenly, and it leaves many people absolutely destitute: no cattle, nothing to trade for grain, and even the grain crop itself is failing. In many ways, the crisis in the north today is an aftershock of this famine of 1973-74. And this drought, which was most acute then, reoccurred in the 1980s and episodically since then. So the question since then has been how to reorient—what basis can the northern economy really have if the basis of livestock is conditional on rain coming? 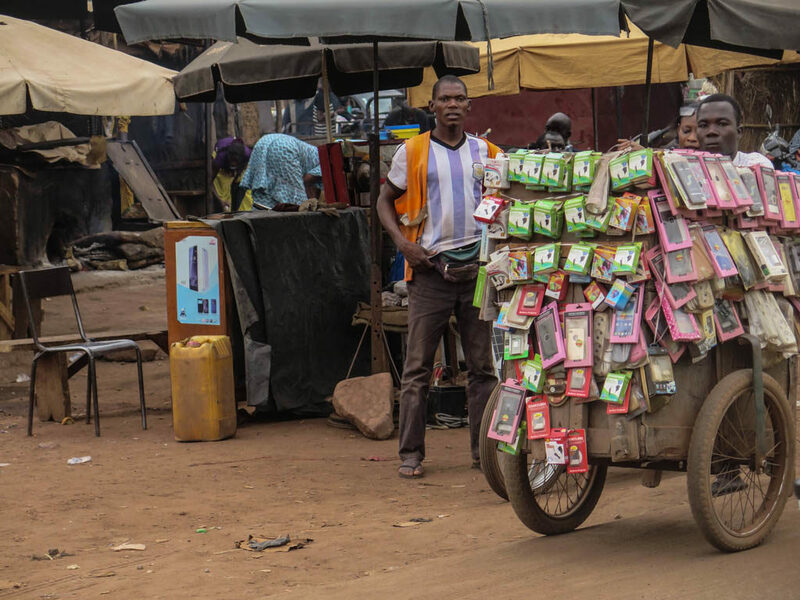 How can you have a sustainable economy in the north? But in 1973-74, tens of thousands, even hundreds of thousands of people left the Sahara and the northern Sahel to seek shelter and sustenance further south. 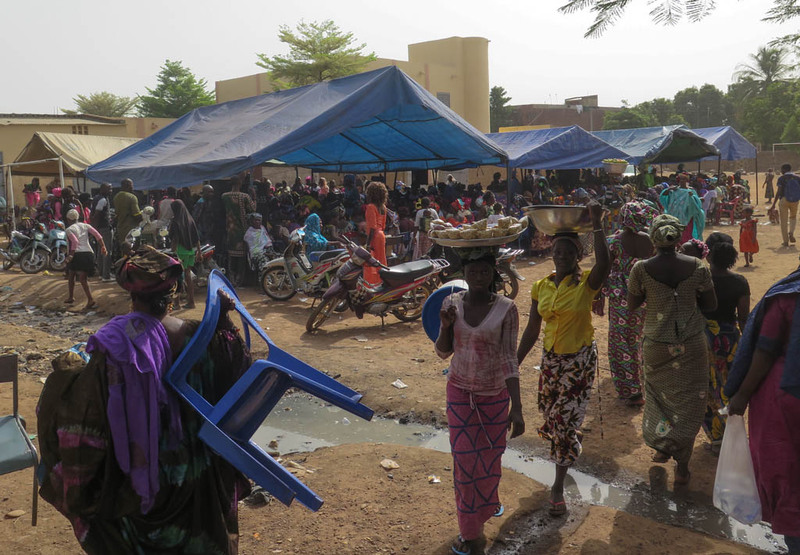 Big camps of refugees grew up around Niamey in Niger, and also in certain places in Mali. But the Malian government had this very contentious relationship with the pastoral populations in northern Mali. There had been the Tuareg rebellion in 1963, put down very violently. So there was already a lot of bad blood between the pastoralists and the Malian army. And the Malian government didn’t want foreign intervention. It didn’t want a great amount of international intervention, so it played down this humanitarian crisis. Aha. And that was a difference between Mali and Niger. Niger was calling for help; Mali didn’t want it. Yes. Niger was calling for it. But also, many of the pastoralists who fled the Sahara and the northern Sahel went to Niger. Niger was choked with refugees from Mali who had lost everything and who were looking for help. Why was it better in Niger? Well, Hamani Diori’s government was seen to be less hostile to pastoralists, and Tuaregs in particular, and that government was willing to look for outside help. Diori was accused of handling the famine relief incompetently and he was overthrown in 1974, but he initially made this aggressive outreach to what were then called the voluntary agencies—Volags—now NGOs. They began as source of famine relief, working to resuscitate battered communities of the Sahara by transforming nomadic pastoralists into sedentary farmers, a project that mostly failed. That was kind of the foothold of nongovernmental organizations in the Sahel really. But then in the 1970s, you saw projects of solidarity beginning—mostly from socialist and communist left, but also the Catholic left of France and other Western nations—they felt they should be engaged in trying to help this dystopia that they imagined the Sahel had become. So there’s a lot of sharp language about how the Sahel is going to fall off the map, and the Sahara can never be inhabited by human beings again—dramatic, overblown language. This was the opening chapter of the presence of NGOs in the Sahel region. From a historical viewpoint, what’s important is that this comes before neo-liberalism, before this idea that the state needs to step back and let the market play out. So over time, the space for nongovernmental organizations is increasingly opened up by neo-liberal retraction of the state. When would you say the neo-liberal period really kicks in? During the late 1970s, the early ‘80s. You can take 1980 as a benchmark, and the neo-liberal ideology begins to be programmatic in the Sahel for the donor nations and the international monetary institutions. That, over time, will obviously have a greater effect on the governments of the Sahel, especially after the end of the Cold War. But what happens in the 1990s, when the state retracts, is that in many ways the NGOs come to fill some of the roles that the socialist government of the 1960s imagined for itself. The socialist government was going to provide education and healthcare, and to control and plan the economy. By the 1990s, the role of the state had been significantly redefined as getting out of the way to let market forces work, and selling off the state enterprises. Let them either flourish or fail based on the needs of their investors, customers and clients. So where Moussa Traoré resisted this foreign intervention in the early ‘70s, it seems Alpha Konaré welcomed it in the ‘90s. Right. This is the moment at which the state steps back and pursues this cultural nationalist policy. The state is stepping back, refusing to fill some of the functions we think it should fill. This is part of the reason you had people in the streets protesting with great frequency—the unions, the students, but also railroad workers, and others. So the state is stepping back, pushing this idea of decentralization, which is, in theory giving power back to rural or more local government structures. But in fact, who is coming in to fill all the needs? NGOs, both foreign and local. Right. The way that I write about it in the book is that there is the state and there is the government, and the brief of government is very ambitious in the 1960s: the provision of social services and infrastructure, the construction of a national identity, the preservation of sovereignty, the emission of a national money, all those things. What happens in the beginning of the 1970s through the ‘90s, when it becomes most acute, is that there’s a broad idea of what the government should do, and a narrow capacity of the state to actually do those things. There’s more and more government, and less and less state. This doesn’t necessarily weaken the power of the state, because it lets the state do other stuff. Mali kind of fails to do this, but great examples would be Uganda under Museveni, Rwanda under Kagame. Look, if everyone wants to come and donate money and foreign agencies want to come and help with an infinite number of functions that provide social services and social welfare, then the crude and raw idea of the state as a form of political and military power is only reinforced. Because they don’t have to worry about those things. “I don’t have to worry about those things. Someone else is going to do those things; let me devote my resources towards preserving my power in a political and military sense.” That’s a much narrower version of sovereignty and of what the state should be and do than had been prevalent in the ‘60s and ‘70s, the time of independence, when the horizon seemed like it was beckoning, when modernity was just around the corner, when the region was much more prosperous. So NGOs gave the Malian government an opportunity to fortify the state, an opportunity it failed to capitalize on as effectively as Kagame and Museveni. But does this failure help to explain the events of 2012, the coup and the rebellion in the north? No. When it comes to the crisis of Malian politics over the last few years, I don’t think it’s down to NGOs. There are deeper factors, some of them decades old. And more recently, the illicit drug trade has fundamentally corrupted both the state and the administration, also the security forces. Drug trafficking has created a deep problem in Mali to which there’s no evident solution, and no real precedent. A strange thing has happened in the Sahel over the last decade or more, and especially in Mali. A country that doesn’t produce drugs, and doesn’t consume many drugs, has become this major transshipment point in the international trade of illicit drugs, mostly towards European markets. So this is Latin-American cocaine that passes through Mali to get to Europe. If you look at a map, that doesn’t seem to make a great deal of sense. Moroccan hashish also passes through Mali to go to Europe, to Israel and other places where there are markets, and there is money to be made too. So Mali has become an important transshipment point, with the connivance of some members of the government, including high-ranking members of government under the previously regime of ATT. Of course, smuggling routes are prevalent in the desert and have been for decades. They used to be for fairly anodyne things, like cigarettes most famously, that moved south to north across Sahara into Algerian markets. And before that, salt and gold. Before that salt and gold, right, so there’s a kind of back and forth of various commodities across the desert. Also very banal things like pasta and soap, which are subsidized in Algeria and are more easily sold Sahelian markets in Mali, places like Kidal and Songho and Meneka. It’s easier to get to Algeria and Tamanrasset than it is to get to Bamako, certainly to Dakar or Lomé or another Atlantic port. So there are longstanding networks of exchange across the desert that go back centuries. But they become more robust, more heavily trafficked in recent decades, partly because of the Algerian socialist economy, which subsidizes many primary necessities. So there’s been a circuit of exchange that’s emerged over the decades; illicit products and tax evasion have obviously entered into the exchange. Glomming onto that now comes drugs produced in Latin America and Morocco, and they move across the desert with the connivance of state authorities, but also the locally constituted forms of authority—local chiefs, and heads of the confederations of the Kel Adagh [a Tuareg confederation] etc. who are at least aware of this smuggling. I can understand Morocco and see how that works, but what is the actual route for all these South American drugs? Well, that’s one of the great questions. The routes continually shift. Guinea Bissau has been a great point of import and export. Guinea Bissau is often thought of as a narco-state. A little bit the same for Guinea, but less. Ghana too at some point, but that seems to be partly shut down. And then other places along the Atlantic coast, to which drugs can be brought. So the drugs arrive in ships. In ships or by airplane, coming from Latin America, and stopping in the Canaries. Then they’re being transshipped in Mali, broken down into smaller packages and moved across the desert, mostly in Land Cruisers, 4x4s. Mali is the place where the bulk shipment gets broken down into smaller shipments that are smuggled into Europe. Mali doesn’t get them all the way to Europe. They still have to get across Algeria. Right, they still have to get across Algeria, or Libya. But somehow this isn’t such a big problem? The problem seems so acute in Mali, and I think that’s part of what’s puzzling to people, apart from the geographic anomaly. Why is this such a big deal in Mali, as opposed to all these other countries that are also involved? Well, it’s been a very big deal in Guinea Bissau, and it was starting to be big deal in Ghana. It’s a phenomenon that is not unique to Mali in West Africa, but, as I said, Mali being a transshipment point relies both on the central government in Bamako at least turning a blind eye, on some level, and also, before the crisis of 2012-13, on people who the central government of Bamako had effectively relied upon to govern or control the desert. One of the reasons it became important in Mali, I hypothesize, is because the previous flare-ups of the Tuareg insurrection had pushed for the demilitarization of the Sahara. Local leaders had said to the Malian government, “O.K., you have got to keep your soldiers out of the way. We don’t want them around.” That effectively opened up a security vacuum in the desert. There’s no police, no army, no gendarmerie, no customs service, so this is great. This is smuggler’s paradise! And now there’s a lot more money in drugs. Look, let’s put a few bricks of cocaine. Why not? So that creates a great deal of turbulence, economically and politically, in the Sahara. But I want to make one clarification. This trade gets conflated with the Tuareg insurgency and the whole question of Salafi or Wahhabi Caliphate jihadism in the Sahara. These things are clearly linked; sometimes the same actors are involved. But drug trafficking shouldn’t be put on the backs of the Tuareg, or the Kel Adagh more precisely. Arab and other communities of the Sahara and its fringes are also engaged in this kind of trade, and it goes deep into Bamako as well. It’s not the province of any particular group or category of people, but it is a widespread and pervasive system of corruption that’s emerged over the last decade or more. And the amounts of money involved are astronomical. Also, there’s going to be a peace deal in the north, and we’re going to demobilize and reintegrate combatants, former rebels, into the state security forces. So you think to yourself: O.K., that might have worked a little bit in the 1990s, but not entirely. The peace deal was a mixed bag in the ‘90s. But now you’ve got a cocaine economy. You’ve got huge amounts of money for a certain amount of risk and not much work. So how are you going to "demobilize and reintegrate" those people into an army that is corrupt, hostile, internally divided, and that doesn’t pay very well? So the economic scenario is very different than it’s been in the past, and this can have political effects. That clarifies a lot. Now let’s back to NGOs for a particular reason. We have the crisis of 2012 and all the uncertainty and instability since. What is the effect of the crisis on this huge presence of NGOs? What happens to all those NGOs after 2012? Well, I don’t think there’s a great deal of introspection amongst the actors from the outside who were engaged in producing this big NGO phenomenon in Mali. I don’t think there’s a questioning of privatization, of industrialization, of the neo-liberal doctrine and the effects it might have had. I think that’s a longer-term discussion that maybe could open up at some point, but I think that the way the international community, or actors within it, think about the Malian political crisis, is to lay it at the feet of Malians. It’s the fault of particular people, of an irresponsible political class, of ATT individually. All those arguments might have some validity, but I think it’s useful to have a bigger, longer-term perspective that says one of the things that happened over the years is a hollowing out of the state. Over the years, the state lost its authority and much of its legitimacy and capacity to function. But the NGO phenomenon in Mali hasn’t really ended. You know, I’m on the board of an NGO that works in Mali, Mali Health, which I think is very effective. It works with the poorest women and young children of new neighborhoods in Bamako that have limited social and health services. So it works on questions of infant mortality and trying to get children immunized, and to assist women through their pregnancies and births and the first few years of their children’s lives in these neighborhoods of Bamako. It’s limited to Bamako, which I think is important. So that work continues. The money is American, but the work on the ground is being done by Malians and guided by Malians. Is that generally true of NGOs? Because I remember hearing right when the crisis hit that a lot of NGOs left Mali. I think they did, and there are certainly a lot fewer expatriates, as you’ll see when you go to Bamako. Much of that NGO activity has pulled back. A lot of the big streams of foreign funding were beginning to be cut off even before the crisis, because of the incompetence and the corruption of the ATT government, it has to be said. So there were moments in which tensions between the U.S. government and the Malian government were intense, because of the inability of the Malian government to account for money that had been contributed towards specific projects and functions, and that had knock-on effects on NGO activity. One legitimate question is whether or not a state that has shrunk so considerably and has neither the monetary nor human capital to provide basic social services—to assure health care in particular—can now assume these responsibilities, or whether they must remain in the realm of the NGOs. And if the NGOs don’t provide them, then who will? Coming back to music, during the crisis, when NGOs were leaving Mali, I heard from some of my griot musician friends there that the withdrawal of NGOs was affecting them indirectly. 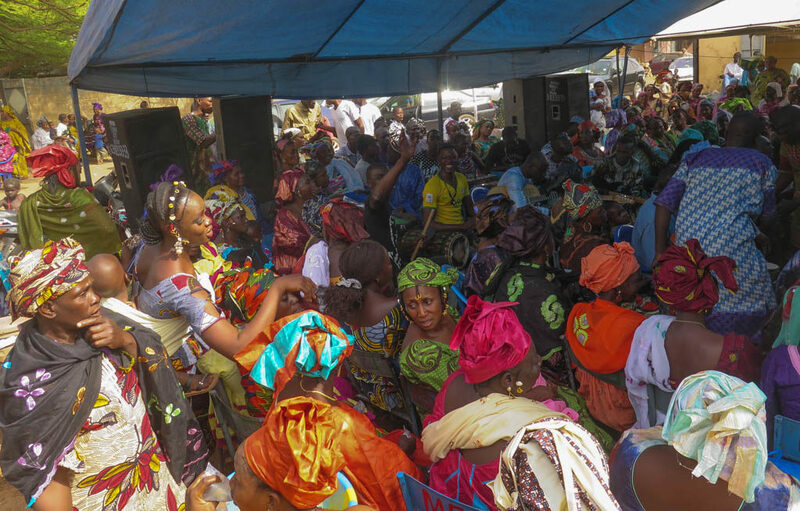 The claim was that many of the women who used to go to street parties—weddings and baptisms, sumow as they are called—were spreading around money they or their husbands made through their jobs with NGOs. But I spoke recently with our colleague and your fellow Hip Deep scholar, Cherif Keita of Carlton College. He felt that this claim was overstated. He argued that the people who go to sumow and spread money around tend to come from the merchant class. They are not the sort of people who would be working for NGOs. He said that, in general, those people probably take a dim view of griotism and wouldn’t be inclined to participate in that informal economy. I’m sure there’s no simple answer to this, but I just wonder what your impression of that dynamic is—what the musicians were telling me as opposed to what Cherif sees. I mean, it’s such an interesting distinction that Cherif is proposing. I wonder if it’s perhaps two different categories of musicians, right? I can imagine that when the crisis happens and many of the expatriates who work for NGOs either leave or don’t circulate at night. They have to stay home, they’re under orders to not go out too much, etc, that’s got to hurt the bar scene, the live music scene, the nightclub scene. Now the category of musicians who are performing at ceremonies is a different category of musicians, right? Yes, these street parties are daytime stuff. Daytime stuff, Sunday afternoon stuff, right. Baptisms and weddings and whatnot. Sure. This is the economy I saw day in day out when I was living with Djelimady. I went to so many of those events, and I saw that musicians were getting pretty well paid. But if it’s not NGOs departing, what else was discouraging these street parties? Well, when I went to Mali in 2012 and '13, there was a kind of fear in Bamako. Especially in 2012, there was the idea that this conflict is far away, but it could become close very quickly. This was after the coup but before the French intervention. The army had been thrown out of northern Mali like a drunk thrown out of a bar. Azawad had declared its independence. Whatever reality that ultimately had, it must have seemed real in the moment. And it seemed to be more or less fixed. So this was before the advance on Kona in January 2013, which provoked the French intervention. But I think that in that moment between the coup and the chaos and the French intervention, there was amongst Malians, a pervasive sense of fear. I remember one person telling me about that right after the French intervention. This was a pious Muslim family, people I know well, and the mother had insisted that her daughters all begin to wear a veil. They were afraid that the jihadists might actually show up in Bamako. That might have been an exaggerated fear, but it was nonetheless real. Even a pious Muslim family felt like these guys are extremists with whom we don’t identify, and we are scared for our daughters in particular should they come here. So would they have been likely to have a street wedding or any kind of celebration under those circumstances? Probably not. And to have amplified music in the street? They might have avoided that too. The amplification that was affective then was the loudspeakers from the mosque across the street. The Qaddafi-funded loudspeakers of Bamako’s mosques, which rang loud and clear at the time. 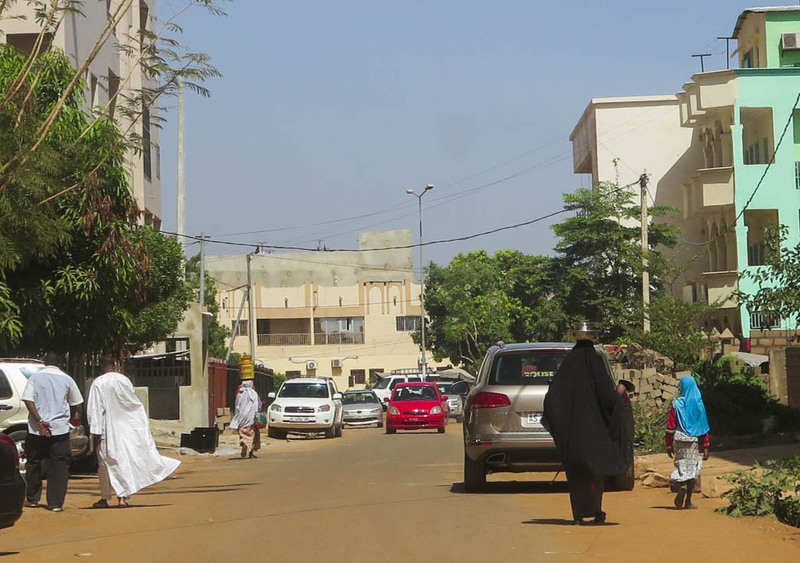 There were obviously different kinds of messages being put forward, but there was a fear among Muslim families in Bamako that bad things might be over the horizon for them. I think that’s been significantly alleviated now. Yes. I understand that musical life has resumed significantly, including sumow. But I see the matter of religious extremism in a larger context, because I remember having a very interesting conversation with Salif Keita back in 2002, long ago. He had just recently moved back to Mali after more than 20 years in France. 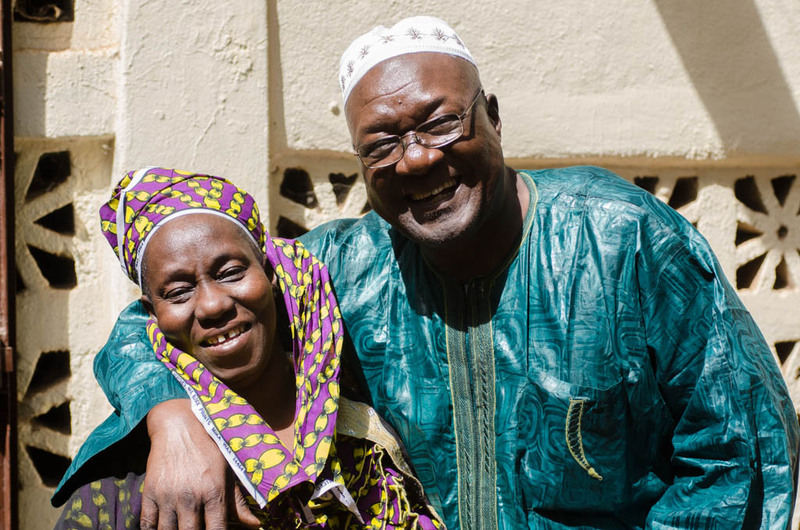 He bought a house, built a recording studio, and was becoming a presence in Bamako. We spoke not long after 9/11, and he said, “Bad things are happening in Mali. There’s a mosque down the street from me, and they use my name and preach about how evil music is. And every day I see more and more women who are wearing black, not wearing any of the traditional colors...” Salif was warning that something bad was underway. He said the Saudis were pouring money into these Wahhabi missionaries, and that their idea was taking root. Now coming up to the present, I don’t know if you’ve read any of the works by the British writer, Andy Morgan. He’s been very involved with northern music, especially Tuareg bands. He managed Tinariwen for quite a while. He wrote an excellent book in 2013 called Music and Conflict in Mali. 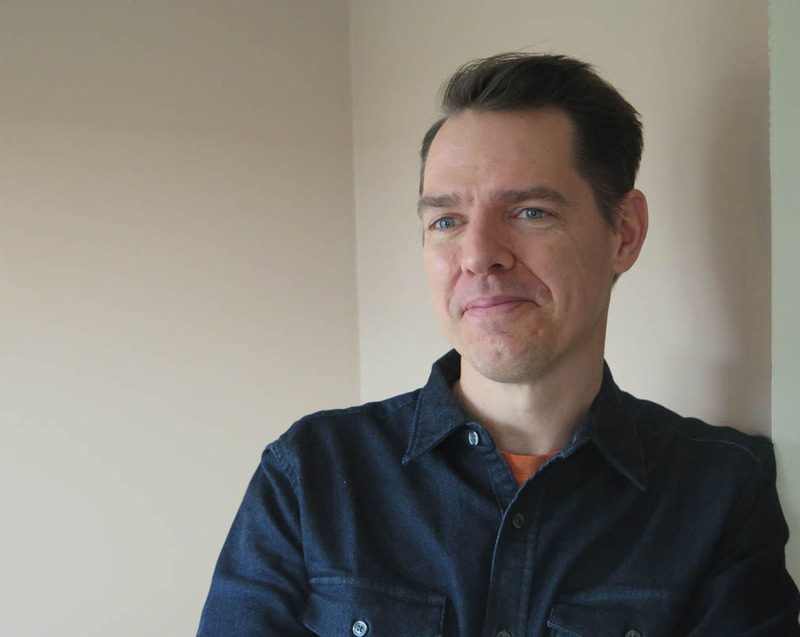 But he also wrote something just recently, an update in which he talks about how, even though the French intervention pushed the jihadis back, and musical life is regenerating, the idea that music is bad lingers. It survives from this ban of music that was a central concern in his book. A certain reluctance about music has implanted itself in people’s minds, and you have a different mentality. On a psychic level, people are more hesitant to become involved with music, or have their children become involved in it, even to listen to and enjoy music. There’s a bit of a stigma that has lingered from this whole experience. So put these things together: Wahhabi missionary activity, the murky aftermath of the crisis, the failure of secular government and secular education. This leaves a big opening for religious leaders, including extremists. It becomes a worrying scenario. I’ve thought a lot about this. One thing that I’ve been saying for a while, and every time I say it at some conference or workshop, I’m the unpopular person. But the idea of a secular state in Mali is very much under siege. We’re in this period of crisis, and we think about territorial integrity, whether the north remains part of the broader nation state, and whether or not the French intervention is a short or long-term phenomenon. In this context, I think this question of secularism is a key one. There’s a structural shift afoot by which the role of Islam in government in Mali is expanding greatly. We look back now to a year zero that is 2012, with its coup and chaos. But we should not forget 2009 and the debacle of the family code, in which ATT tried to put forward a more liberal family code, one that Malian feminists had fought for for a long time, in which the rights of Malian women and children were better secured. [The reformed code would have made marriage a secular institution and enhanced inheritance rights for women.] And ATT was brushed back on that. This was when [Muslim leader] Mahmoud Dicko really rose to power, getting tens of thousands of people into the streets and into the stadium to protest against this family code. And it wasn’t just a loss for Malian feminists like Fatoumata Sera Diakité, but for Malian women and children and society as a whole. I don’t like to pronounce on Malian politics, not being a citizen, but this touches on my family as well, in very direct ways. This was a major loss for the authority of the government over the religious sphere, which has always been a kind of tense relationship, going back to the 1980s and 70s, and then earlier as well. And I think that in that context, one of the casualties ultimately of the crisis is likely to be this idea of secularism. Should political questions be decided and debated by political or religious figures? 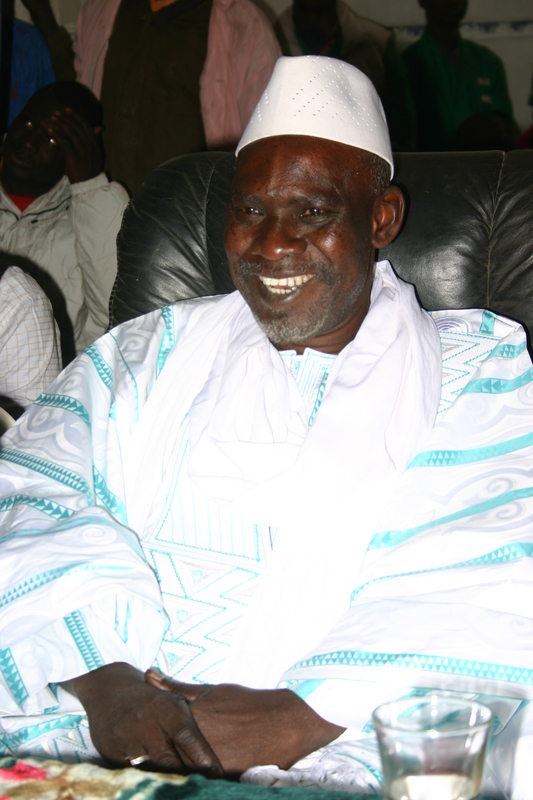 There have been forays and interventions into the political sphere by people like Dicko, also a more moderate Islamic leader, Chérif Madani Haïdara. There’s been debate back and forth. Is it the role of the religious estate, of religious leadership, to impose their will on the political leadership? Do they have a role in politics, or should they keep to the religious sphere as a distinct sphere? These are hotly debated questions in Mali. At the moment, I’m a little pessimistic about it. But it’s an important question. As it pertains to music, I often wonder if that isn’t the bridge too far. I wonder if music isn’t actually the tripwire the Islamists don’t want to cross. If you think about people who consider themselves to be morally correct, to be pious Muslims, to be practicing correctly, to be living correctly but tolerant of their neighbors who practice differently, who have different religious views, but who love music, and whose popular music is laced with references to the Prophet, to prayer, to moral virtue, and you tell them that music is not a vehicle for the discussion of the building of community, for moral values, for ethics, for how to treat each other, or even for worshipping the Prophet for those who choose to do that in their lyrics… When you condemn music, I think that you probably get a lot of resistance, I think that might be the place where resistance to the Islamization of politics in the cultural sphere might actually come from. In 2013, there were some who said that if the Islamists had stopped short of banning music in the north, they might have succeeded. It’s an extreme statement, but it goes to what you’re saying right now about the bridge too far, which they did cross. You can see this playing out it in that film Timbuktu, [also in an important new documentary, They Will Have to Kill Us First]. But can we say that if they hadn’t banned music, the French would not have intervened? That’s probably a stretch. Yes, that’s probably too much. But your point is interesting, because as we well know, music is so deeply ingrained in Malian identity and daily life. Yes, and so much of the musical production is actually specifically engaged in moral terms, in ethical terms. It’s about community and how people treat each other. It’s not narrowly religious, though sometimes it is full of religious references, but there’s a form of moral and civic education that takes place through music and song in Mali, much more than in the United States. Of course, there’s also crass music. More of it now, I think. Yes. There’s music that celebrates wealth, and simple pop music that doesn’t have any greater kind of message. But actually, a great deal of the most popular music is very explicitly moral or ethical. And it might not be about telling people in an imperative sense, “You must do this, or you must do that,” but it might be about encouraging people to do this or to do that, to act properly, whether it’s diminishing conflict between co-wives, or respecting elders, or treasuring children. Or not gossiping. That’s a big one. 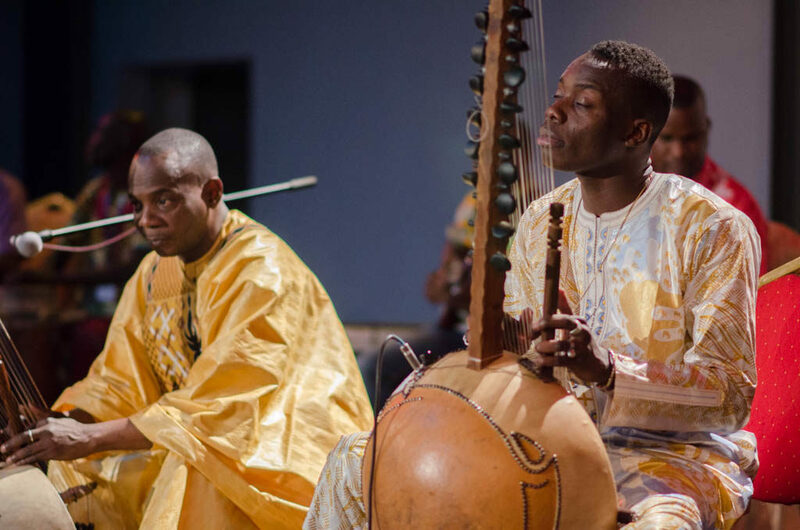 There are all kinds of moral messages in Malian music, and that’s one of the reasons the tradition is so prized by Malians. Toumani Diabaté has said similar things over the years. Both Djelimady and Toumani were here as part of the Afrocubism tour in 2012. This was during the crisis, well before the French intervention, and everyone on that tour was incredibly wrought about what was happening. One of the things that they said about the people who had invaded the north is, “We don't know who they are; they are not from here; they are not part of the culture, and therefore we can't talk to them as griots the way we could with fellow Malians.” So they were not susceptible to traditional forms of conflict resolution.” All of this begs the question: what is the role and value of griotism at this point in history? So these things always coexist. There’s always the crass commercialism of the griot who’s seeking gifts, and griot who is ultimately a kind of pedagogue and oral historian, a chronicler and who’s considered one of the great treasures of Malian civilization. Those two things must coexist. But I wonder in the current moment to what extent younger people in particular see the kind of lessons of the deep past as relevant to present, because their present seems so radically different from that past. The forces that are at work in Mali today come from so far afield. It’s the Libyan revolution and its effects on the Sahara; it’s the cocaine trade; it’s the international drug trade; it’s the U.S. and France and others coming from afar to bring their military projects and diplomatic projects to work in Mali. Do griots still have something to say to all that? It’s not necessarily clear, right? But on the other hand, surely they have something to say to the ruling classes of Mali itself. I’d love to know what that message might be. But someone like IBK [Ibrahim Boubacar Keita], the current president of Mali, he’s no populist. He’s an aristocrat through and through. He believes he’s there to rule, not only because he’s elected, but because it’s his role, it’s his destiny. Tell us a bit about the current president, IBK. IBK can be seen in different ways. His real claim to political legitimacy is not only the fact that he’s the elected president. He also has a reputation, which is a bit tarnished now, as a man of action, a man who can get things done. The democratic experiment of the 1990s only succeeded to the extent that it did because IBK was able to come in at a moment when Konaré was absolutely on the ropes. 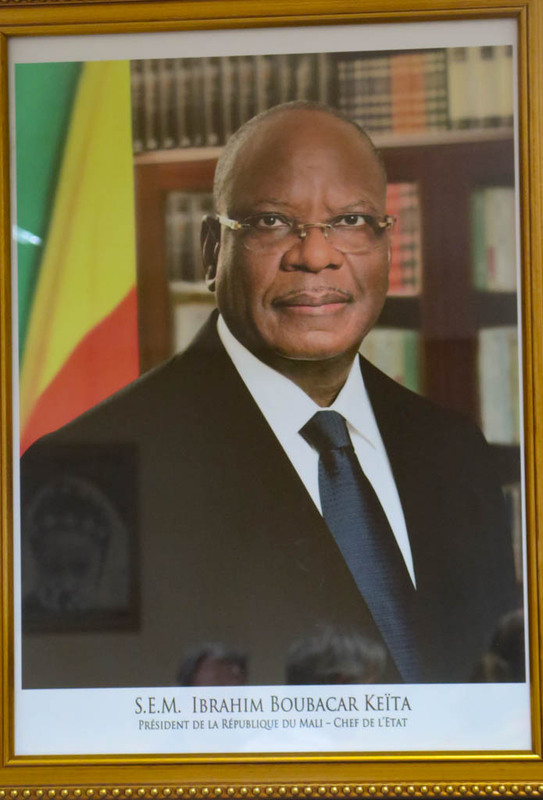 President Konaré had seen the political situation slip out of his control. Successive prime ministers had failed to control the street, and then IBK came in as effectively the strongman, and was able to pull the administration together. He came in as prime minister. In what year? In 1994. He was anticipated to be the successor to Konaré, and then Konaré withdrew his support and opened the road for ATT to come back to power, this time as the elected president. That’s the history. But there are two other aspects to IBK’s character that are important: one is strong connections to François Hollande and the French socialist establishment. This goes back decades to his time in Paris, effectively as a migrant and a student. Also, he wears his piety in a very ostentatious fashion. He solicited the approval of the religious establishment when he was seeking to be elected, and he has been seen to not be the greatest defender of the secular state, potentially to be hypocritical in that regard. He’s also known for his taste for fancy suits and to be sharply dressed. But when he came to power, at the time of the 2013 election, people remembered that he had been efficient and effective as prime minister in a time when the president seemed to be going out of control, and that he had this kind of vision of himself that others share as this kind of ce garin—that’s Bambara for a strong, powerful man, this person of action who would come in and get things done. For that reason, he was the person you needed in a crisis like the one Mali faced in 2013. Since then, there’s been a lot of disappointment. Corruption didn’t get better; it got much worse in fact, some would say. He has not been decisive or taken a great deal of action with regards to the conflict in the north. 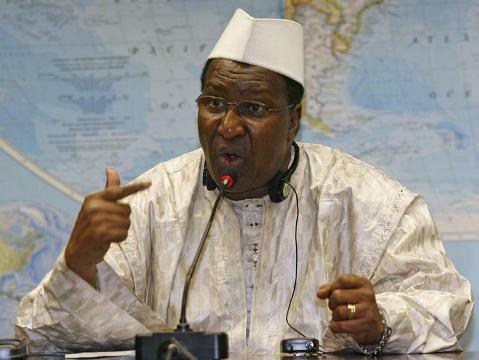 To the contrary, critics would say he’s been too passive, that he was nearly outflanked by his own prime minister Moussa Mara, who clearly was not entirely under his control in 2014 when he launched a new conflict in the north with the battle of Kidal. IBK seems to be more interested in enjoying the presidency and its various material perks than in governing. This is a common critique at the moment. The diplomatic community has also been frustrated with him, because they feel he hasn’t been sufficiently invested in seeing through the peace process that has begun quite gingerly in the North. Fascinating. Now, let’s talk about these two religious leaders we’ve mentioned, Dicko and Haïdara. What distinguishes them? What are their stories? Well, they are two key figures in the Malian Muslim establishment at the moment. Mahmoud Dicko, who runs the High Islamic Council and is seen as maybe the leading Islamic figure in the country, has a strong Arabic education. He sees himself as a Wahhabi. 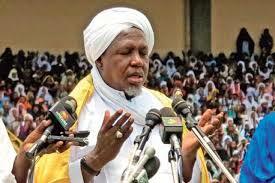 His father was one of the first Wahhabis in West Africa. Wahhabism is a form of reformist Islam from Saudi Arabia and Egypt that is very focused on return to key texts, and is opposed to the sort of charismatic piety that has been prevalent in West Africa for centuries. Dicko is someone who is not been shy about inserting himself into politics. He has never held any kind of elected political office, although at some point he was a close ally of the current president IBK. He tried to insert himself into negotiations with the jihadist and separatist forces that jointly controlled northern Mali in 2012. He was essentially rebutted or refuted when he made that attempt, but he is probably the key figure in turning back the family code, that more liberal family law that was a political project in 2009. This was a political crisis in which the secular state came out the loser and Dicko the winner. So Dicko, someone who argues that Islam needs a greater role in politics in Mali. 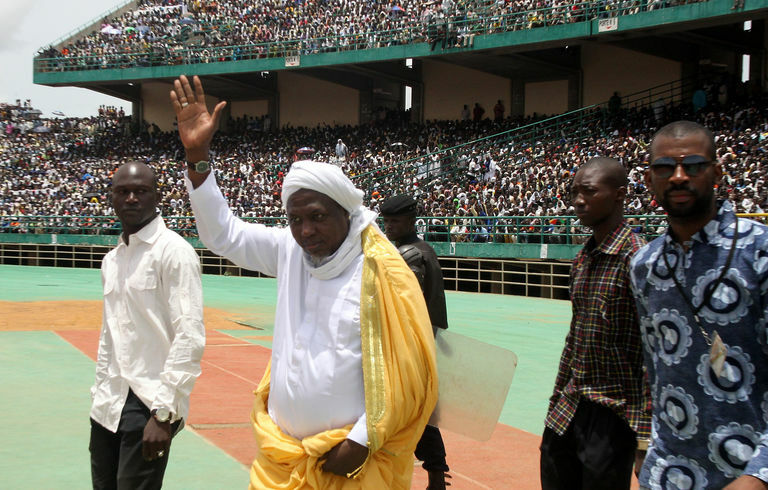 Cherif Ousmane Haïdara is a very different figure, much more of a populist, less invested, for example, in the Arabic language having a powerful status within Islam. You don’t need to know all these prayers and all these texts in Arabic; you don’t need that form of education. Instead, Bambara is equally valid as a kind of a language in which one can pray or discuss religious issues. And that’s been a popular message with young people and women. Haïdara was extraordinarily popular in the period right before the political crisis, and for some time after it as well. It seems that his popularity has waned recently. People see him as a little bit corrupted because he was co-opted into the High Islamic Council under Dicko. So now, effectively, he’s a kind of subordinate to Dicko within this kind of parastatal organization of the High Islamic Council. He has been seen inserting religion into politics, in ways he was not identified with previously. But he’s been much less controversial than Dicko. 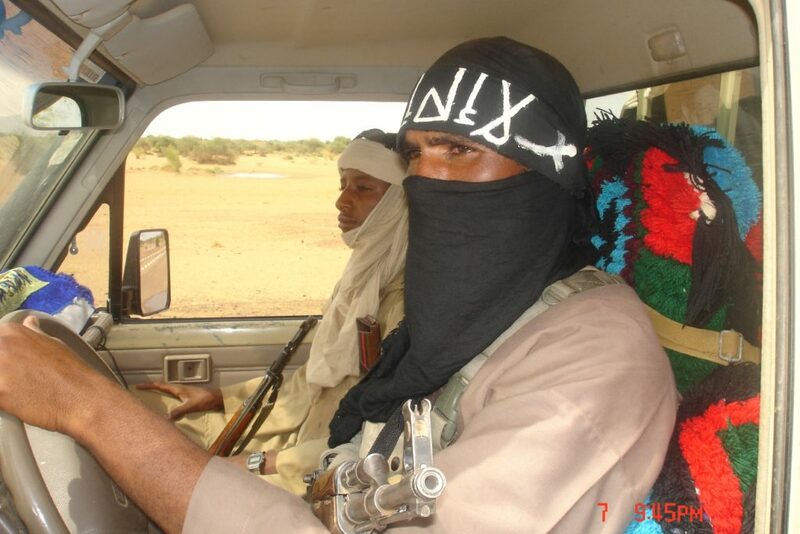 Dicko gave what I thought was a scandalous interview in December 2015, in which he effectively blamed the November 2015 terrorist attack on the Radisson Blue hotel in Bamako on the fact that Western governments are accommodating towards homosexuality, and this is God’s anger being expressed by the fact that these two young men had gone and shot up a bunch of unarmed people in a hotel in Bamako. Somehow the one explained the other. Dicko was then accused of being an apologist for terrorism. Even as he insisted that terror was not Islamic, he was asserting that it was God’s will at the same time. So Dicko gave this interview in the Bamako press which created something of a furor, and the attorney general, le procurer general, said, “Look, this is an apology for terrorism.” He said this in public and he was fired from his post. Now, there might have been other reasons why he got dismissed; he was on an anticorruption campaign. But there’s a sense that Dicko wields great influence within the political establishment. Another way to think of it, in somewhat crude terms, is that Dicko is a Wahhabi, loosely a fundamentalist, who believes in a return to the sources and the textual sources of Islam, and believes in a strong role for Islam in politics. He’s also something of an elitist. Haïdara has always been seen as a populist, as a Sufi, as a much more charismatic figure. For example, he organizes the celebration of the Prophet’s birthday, something not universally accepted within Islam. So he’s more interested in a form of charismatic authority and legitimacy, but also attaching to the figure of the Prophet himself, which is more aligned with Sufi practice than Wahhabi practice. 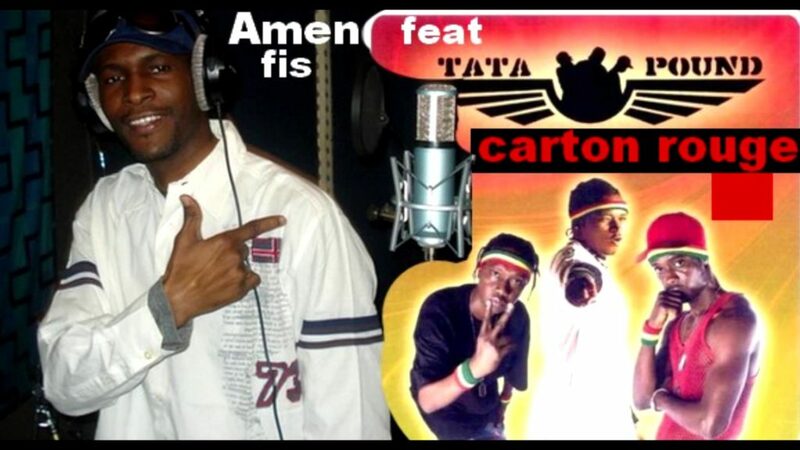 In the past, I’ve known musicians to speak very well of Haïdara. I don’t know if they still do. Well, Haïdara has risen to great wealth over the last few years. That takes a bit of the shine off the populism. I want to ask you about something you write about in the book that I was completely unaware of. Again, this goes to the role of griot culture and history in politics. Tell us about the document called the Kouroukan Fouga. The Kouroukan Fouga is a kind of charter for the organization of Mande society. And when I say Mande, I mean the people who think of themselves as descended from the Mali Empire of the 13th century, very broadly. The important thing is the Tuareg aren’t part of that. 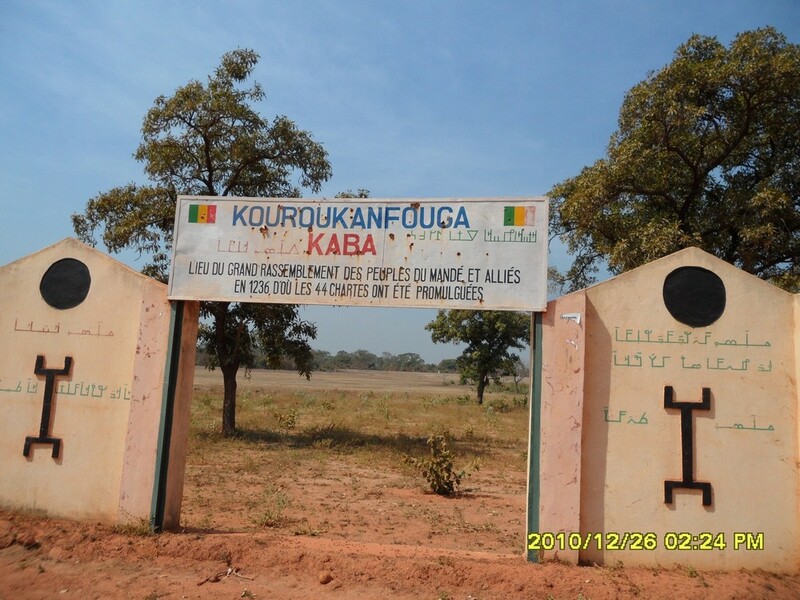 So in the wake of Sundiata Keita’s victory in the 13th century—which is the origin, the genesis of the Mali Empire—the Kouroukan Fouga lays out the relationship that should exist between the different sectors of society. The Kouroukan Fouga says: There are going to be griots, there are going to be blacksmiths, there are going to be potters. These are distinct categories of people, and their roles should be respected. There are going to be people who have different surnames; there are going to be Keitas, Traores, Diarras, Kones, etc, etc. It spells out a social order, and says that the role of the griots is to preserve this order. So to attenuate conflict and help people to understand their roles: This is the job of the griots. Now the Sundiata epic depicts events from the 13th century, but it was only written down in the 20th century. The Kouroukan Fouga is present in some versions of the epic and absent in others, so it depends a little bit on which version you have and whether or not the particular griot who recounted that version went into the Kouroukan episode. It comes at the moment after the military victory, and it says: Now that we’ve defeated the forces of the blacksmith king Soumaoro Kanté, how are we going to organize society? And this is the way we’re going to organize it. Different families will have different roles, and do their jobs, and the griots will effectively make sure this system works. So it gives great importance to the griots as those who keep society running on the right track. It also says: The Keitas they are going to rule. There must be an empire. So it’s not about some form of equality. Almost the opposite. But it does lay out roles for people and say that those roles should be respected. The important thing about the Kouroukan Fouga is not that it’s an episode of this ancient epic, but that it has been held up in recent years as a kind of charter for Malian society. And there’s an important kind of slip there between Malian society and the Mande people in particular. The Mande people, speaking related languages, find some of their historical origins in the Mali Empire of the 13th century. That’s a different group of people than the Malian people, which includes this vast part of the Sahara. And people speaking unrelated languages. So that’s a different history and different kind of linguistic and cultural groups who are now embraced in this broader nation state. You know, in a funny way, it’s been taken to pertain to the whole of Africa, in so far as it’s been used as an argument that Africa does have a human rights tradition. So the other way this Kouroukan Fouga becomes so important is that it’s written down in the 1990s as a kind of separate text, independent of the Sundiata epic. As a separate text, it gets used to exert the idea that Africa too has its human rights tradition. There were previous efforts to make this argument, notably when the Organization of African Unity established its Banjul Charter in 1980 or ’81. This is the African charter of human and people’s rights. It argues that the state has certain rights, and people individually have certain rights, and peoples collectively have certain rights. But the Kouroukan Fouga also says that people have rights and roles, and these roles must be respected. Now there is also another important text here, the Hunter’s Oath, which also goes back to the Sundiata epic. The Hunter’s Oath is the oath arrived at by the two Traoré brothers who were hunters who figure prominently in the early part of the Sundiata story. They make an oath just before the Mali Empire. If you remember the epic, these brothers are active in defeating the Buffalo Doua, and then bringing her daughter to the king who will then produce that couple, then produce Sundiata. The daughter of the Buffalo Woman becomes the mother of Sundiata. Yes. So these hunters make a pact to respect human life, and it’s a pact that is focused on the value of human individuals. It decries poverty, oppression and slavery, and says all these things need to end within the Mande, and that we the hunters will ensure that these things come to an end. This sounds closer to the accepted international notion of human rights, which is more cut and dried than the complexities of the Kouroukan Fouga. Sure, because the Hunter’s Oath essentially says that individuals have the right to life and to seek happiness in some fairly loose way. It’s not extraordinarily prescriptive. The Kouroukan Fouga says that people have different roles to play in society. It’s not really about freedom. You could look at the question of freedom of speech, for example. The Hunter’s Oath would seem to leave room for freedom of speech, even if some versions say there are different categories of people. The Kouroukan Fouga gives that right to the griots before all others, which then begs the question of whether or not a blacksmith too has freedom of speech. Is political discourse the sole purview of the griots and those who hold political power, or do all people have the right to engage in political discourse? It’s unclear on that question, but it seems to say that griots’ speech is more powerful than the speech of others. So there’s a kind of inequality built into the Kouroukan Fouga, whereas the Hunter’s Oath is much more expansive, and looser. And how did these two texts come into the modern politics of Mali? These two texts come to be celebrated in the Konaré years as an assertion of a Malian tradition of human rights. “We don’t have to get it from the West, or from the international community or the Universal Declaration of Human Rights. We have a version of human rights that insists on human dignity especially, and that’s the Hunter’s Oath.” But these are oral traditions that circulate among the Mande griots, and they extend beyond the boundaries of Mali itself to all parts of West Africa in which people speak Mande languages. But then, in the late ‘90s in Guinea, the Kouroukan Fouga is written out as a distinct charter by a group of griots and journalists and others who had gathered together at the urging and support of an NGO interested in rural radio and promoting civic discourse in rural areas in Guinea. These griots got together and had a discussion about promoting civic discourse using radio, and somehow this meeting turned into a kind of conference of griots around the question of this shared tradition that is this Kouroukan Fouga. But it then was transformed by Siriman Kouyaté—a trained lawyer from a very important griot family in Guinea—into a formal text, a kind of governing charter. So the Kouroukan Fouga shifts from an episode in the oral epic to an almost legal kind of text in the late 1990s. And then these two texts are held up as the sources of a human rights tradition in West Africa, particularly in Mande West Africa, that is much older than the Universal Declaration of Human Rights. The Universal Declaration of Human Rights comes from the period of the French revolution, from the declaration of the rights of man. So the Kouroukan Fouga and the Hunter’s Oath would say, “No, these texts are produced in the 13th century, and the 18th century innovations in France are much younger, much more recent, and not rooted in Mande society.” You could think of this as symptomatic of the cultural nationalism that was prevalent in the Konaré period in particular, to assert the value of tradition, and to argue that tradition and history offer real lessons for the political present in Mali. You write about how human rights as presented in the Universal Declaration of Human Rights was problematic for Malian politicians, and this is kind of their way of assimilating that idea and owning it on their own terms. Partly, yes. It would be fair to say that it’s a rejection of the idea that Malians or West Africans need to be taught about human rights by people from abroad. But one of the problems the Konaré regime had was being too open to freedom of speech. It could never anchor its authority because of the constant insults that rained down on Alpha over talk radio. There was this sense that, well, if you allow such free and open speech, that is appropriate to some circumstances, but perhaps it’s not appropriate for securing one’s authority and legitimacy in Mali. I’m not going to say that one point of view or another is really wrong, but it did seem to sap Konaré’s authority. A number of people I have spoken with about Mali point to the failed secular education system. It seems to have declined steadily over the years, to the point where many people send their kids to Koranic rather than state schools. Those who can afford it send their kids to private schools, but that’s a small percentage. I think the education system and its weaknesses reflect society at large. One way to think about Mali’s history, an old way but still a good one, is that the country’s been governed for most of its history either by teachers or soldiers. Modibo was a teacher; Moussa obviously was a soldier; Konaré was a teacher; ATT had been a soldier but he’d washed out of a teacher training college as well, so he was a little bit of both. The students and the school system have always posed a political danger to the government in place since, actually since the time of Modibo, since the 1960s. But the gambit in the 1960s was to produce an education, as they said, “De qualité et de masse,” so to have a quality but mass education, whereas colonial education was only available to a very small number of people. So the socialist government of the 1960s felt they needed to at least make primary education widely available. 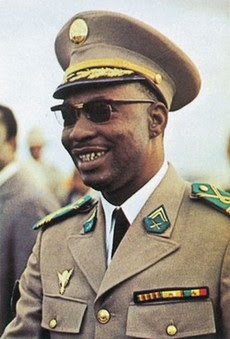 Moussa Traoré’s military government was not entirely hostile to the education system, but was certainly afraid of the upper reaches, and the students, even high school students, and with good reason ultimately. The student movement played a significant role in bringing down his military government. One of the reasons I’m pessimistic about Mali today—and I wish I could be more optimistic—is the absolute degradation of the educational system. This has been going on, as you say, for a number of years. If you read, as I’ve had occasion to do, the student papers and the master's theses from say the 1970s and ‘80s in Mali, they were really good. By the 1990s, the quality just falls out. My friend Isaie Dougnon, who teaches at the University of Bamako, wrote a scathing piece last summer about the university system in Mali, and he’s taught in that system for a number of years. He said we’ve reached a point where people graduate from university, but they’ve never read a book. So the quality of the university education can only be a function of the quality of the secondary education. You can only build on what you’ve got. But the foundation is weak because even at the primary level, the school has been degraded and eroded over the years. This is a major challenge going forward, because you’ve got a population that is extraordinarily young, so you have this kind of age pyramid which is very broad at its base, and those are obviously the people who should be in school. But school is failing them at the moment, and that’s a grim picture. It is, and a hard problem to fix. A very hard problem to fix. Well, this all goes back to where we started, the idea that the great hope so many of us felt about Mali is now challenged on many fronts. I think a lot of longtime visitors of Mali, friends of Mali, observers of Mali, feel that there was a great moment of optimism in the ‘90s and the early 2000s. Now there's a moment of great pessimism. And it's a shock. I think a lot of that pessimism is justified. We talked about corruption, youth education, the Islamization of politics. But I also struggle with not going too far in the line of pessimism. What is the balance between optimism and realism, laying out a whole list of things that might be wrong with the country or dangerous to the country? In many ways, it goes back to the question of what kind of value, intellectually, ethically, politically, can cultural production, and especially music, bring to a crisis like the one the country is caught in at the moment? We've been surprised in the past. We may be surprised in the future. Well, thank you so much, Gregory. You’ve taught us a lot.